Turn these little aphid monsters into dead carcasses with Sierra Natural Science products. 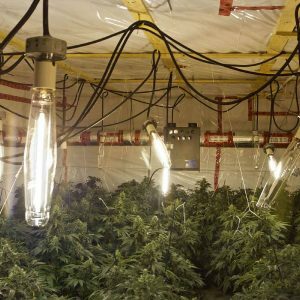 Think about the non-human enemies of your marijuana grow room. 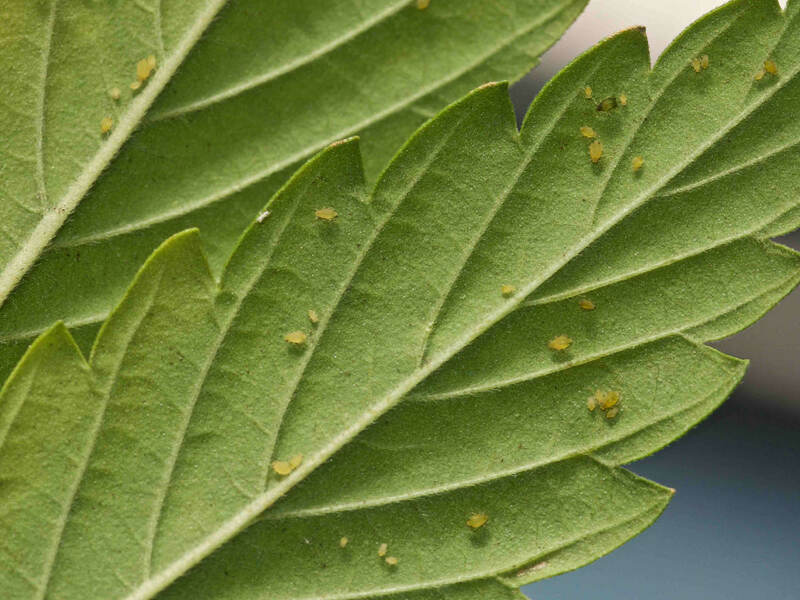 Spider mites, broad mites, thrips, aphids, root aphids, whiteflies, powdery mildew, fungus gnats, and gray mold—those are the most common enemies of your marijuana plants. Growers use pesticides, fungicides, Neem, Azamax, horticultural soap, sulfur burners, and other methods to fight these enemies. But sometimes the enemies win anyway. And sometimes, cannabis growers create poisoned crops and grow rooms when they’re fighting marijuana pests. Now a California-based company run by a chemist and with a plant scientist on staff is offering a line of unique organic and natural products that protect your plants from their enemies. The company is called Sierra Natural Science. They’ve been in business 30 years creating products for cannabis growers and for agricultural food producers. 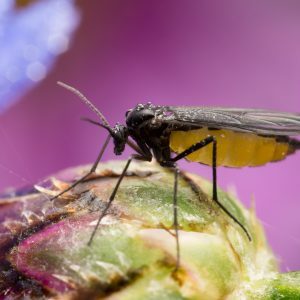 According to the company, their chemist and other researchers have discovered ways to extract, formulate, and deliver natural and organic compounds that repel cannabis pests and diseases. We’ve tried their products and initial testing shows they’re effective. Better yet, they’re not poisons. You can use them later and more safely in bloom phase than you can use other marijuana pests control interventions. SNS-203 is a concentrated anti-pest formula you can use as a foliar spray and as a soil drench to kill and repel fungus gnats, root aphids, thrips, whiteflies, and similar pests. It contains pure rosemary and clove extracts specifically made for horticultural use. SNS-203 also attacks fungi and algae that provide food for some marijuana pests. It kills marijuana pests directly by deleting their body fluids… turning them into crispy critters. You can use SNS-203 in pure hydroponics systems such as deep water culture. As you may have had the bad luck to find out, root aphids are vicious and hard to kill. I recommend dosing your plants with SNS-203 as a preventive whether you suspect you have root aphids or not. SNS-209 is a systemic pest control formula that enters your plants and makes them taste bad so marijuana pests won’t want to eat them. The bad taste comes from rosemeric acid, which doesn’t harm your plants or you. This formula doesn’t kill pests on contact, it just makes your plants unappealing to them. You feed it to your cannabis plants from the start of growth and continue for 2-3 weeks. Then you discontinue use and administer the product again every 2-3 weeks. It can stay in your hydroponics reservoir and works fine with hydroponics nutrients. SNS-217 comes as a ready-to-use and a concentrate, and it’s targeted specifically to destroy spider mites. Whereas many spider mite interventions, including Azamax, require multiple applications and don’t always kill the born mites and their eggs, SNS-217 does. It’s wickedly and wonderfully devious how SNS-217 uses natural ingredients to dehydrate and kill adult mites while coating their eggs so that they never hatch. This is a foliar spray that you need to lay on heavy. You can also use it every couple of weeks until a couple weeks into bloom as a fixer or a preventive. SNS-244 is a potent fungicide that comes as a ready-to-use and a concentrate. It’s designed to kill fungi and mildew, and can be effective against powdery mildew and even gray mold. Not only does it stomp fungi and mold spores, it also strengthens your marijuana plants so they can better resist fungi and molds. Always use reverse osmosis water in your cannabis garden and especially when creating foliar sprays using Sierra Natural Science products. Please note that foliar spraying against marijuana pests is best done at the end of your lights-on cycle, or an hour before the cycle starts. Don’t do foliar spraying when lights are on or when plants are in full sun. I’ve talked to Sierra Natural Science staffers several times. Unlike a lot of other companies selling products to the marijuana grow industry, SNS people are friendly, honest, and smart. The company is professional and science-based, with a lot of Big Ag customers. When my cannabis plants got infested with aphids, I dosed my plants foliar and root with Sierra Natural Science products. The very next day when my lights went on, the aphids had turned from orange to black. They were stone cold dead. Just like I wanted ‘em!